In-flight experience for Emirates flyers will soon be boosted with a better personalized experience. 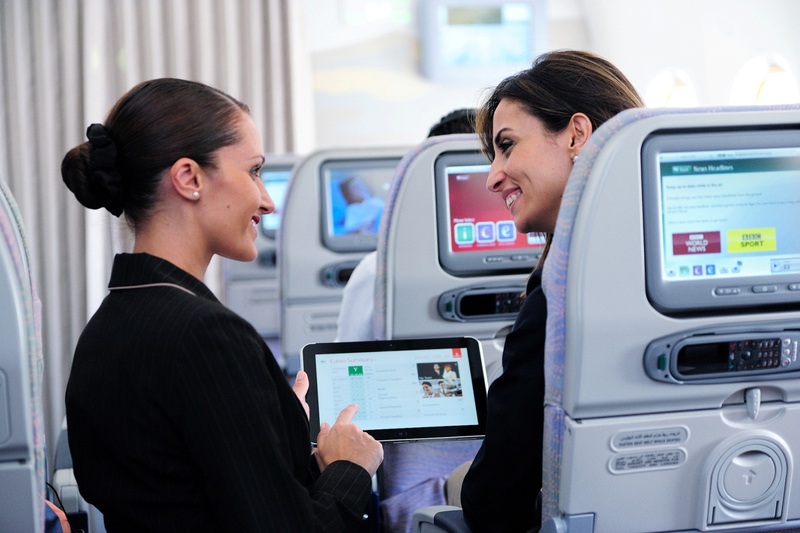 Emirates will be equipping their cabin crew with Windows 8 powered HP ElitePad 900 business tabets with a business application named Knowledge Driven Inflight Service (KIS). The announcement was made in Dubai at a Windows 8 launch event. The application in the Elitepads will be used in place of the in-flight communication and customer relationship management device. The KIS application is used for Cabin Crew briefing before flights for specifics on customer preferences and needs. In-flight upgrades are also conducted on this application and customer feedback collected, this is then routed to headquarters upon plane landing .